For most people at the end of the home ownership line, foreclosure is an impending eventuality that is looked upon with a great deal of trepidation. 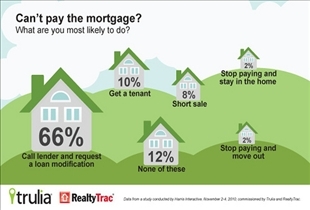 While it would appear that this is the last course of action to take, another alternative to consider is a short sale. Both actions come about as a result of a serious situation that may end up in the loss of the home, but the short sale may be a much better option, as you will see below. 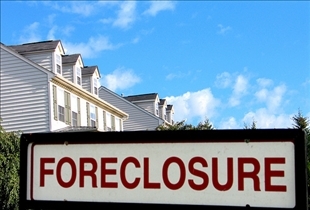 A foreclosure comes about when a homeowner fails to make his or her mortgage payments. A bank or other financial institution can then legally seize the property, and this lender has the option to sell off the property with no further obligation to the original homeowner. In a short sale on the other hand, the homeowner or borrower is in a similar situation of being unable to make the mortgage payments, and places the property on the market through a realtor. The lending institution then takes less than the full value of the home as payment of the loan. The primary difference is that the homeowner is still involved in the sale, and will actually have to approve the deal before it goes through. If you have to go through a short sale although you have otherwise had a good record of making mortgage payments, you may be able to buy a home immediately with the Fannie Mae loan plan. With a foreclosure on the other hand, you will have to wait anywhere from 5 to 7 years before you will be able to purchase a home. Unlike a foreclosure, a short sale will not be considered a negative mark on your credit record. In fact, it won't even be mentioned as such, and will instead be marked down as a "pay as agreed" transaction. As for the foreclosure, you may experience a drop in your credit rating of as much as 200 to 400 points. Worse yet, this will be seen in your credit report for as long as 10 years, where any potential lender will be able to access the information. Which option is better for most people? there have been many cases that the seller has to pay back to the bank the "short sale" money that is owing to the bank- been wriiten into closing documents in very small print, at the closing table. This verbage has been missed by many sellers, also if caught then the buyer has spent money on, inspections, appraisals, plus many other fees associated w the Deed of Trust.Another devastating effect that a short sale has had is the short sale amount lost is shown as "income" for the seller for the upcoming tax year forcing the seller to pay income tax on this short sale. Infosys vs. Wipro vs. TCS: Which is better?